Abortion - Pregnancy Assistance Inc. Perth WA Pregnancy Assistance Inc.
Maybe you haven't told anyone that you are pregnant or perhaps the people you have told are busy telling you what to do. 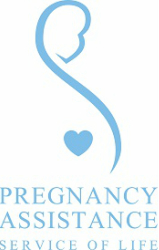 Finding out you are pregnant can be stressful and you may experience conflicting thoughts and emotions. This is normal, especially if you are faced with challenging circumstances. Taking time to explore your feelings, thoughts and options may be helpful. It is important that you do not make a decision you may not truly want because of the personal and emotional significance of this decision. It may help to talk to someone who is willing to listen to your concerns and queries and that is what we do at Pregnancy Assistance.